Quality floor tiles for the Sunshine Coast. Visit us at our Warana showroom to talk about your floor tile needs. Stylish floor tiles without the price tag! 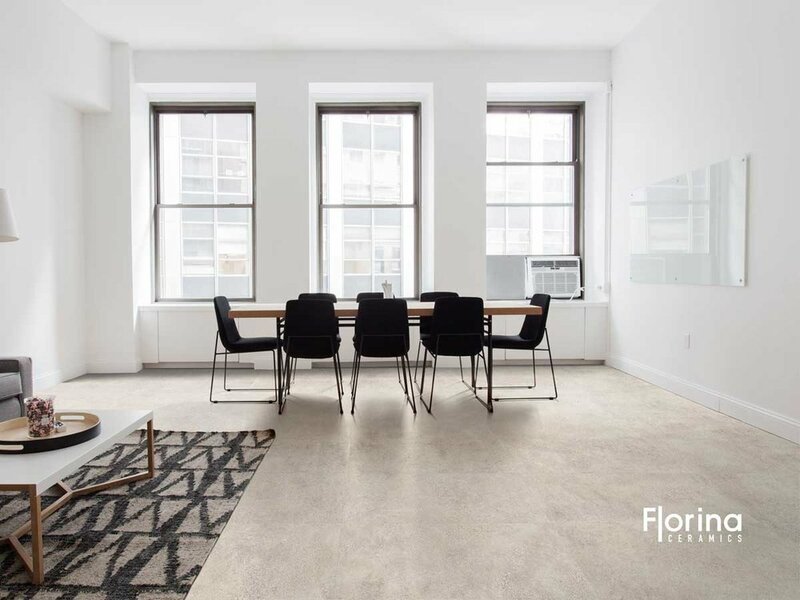 We have a range of impressive floor tiles to suit modern, traditional and creative design styles, catering to the Australian climate and lifestyle. Browse our feature ranges below or contact our team of tiling experts to discuss your particular needs. We're happy to provide quotes and samples to help you with your project planning. Taking inspiration from flowing stones through a river bed, the Oslo range creates depth and texture through the use of high definition design and variable colour, ending with a finished product that deceives the senses. The range is available in 4 colours – Bianco, Cenere, Taupe and Charcoal. 2 finishes Smooth Lapparto and External – 600 x 600mm and 300 x 600mm size format. If you like the look and feel of nature right under your feet the Amazon range is perfect. Every knot and crack that features in this design help builds the natural characteristics of timber. Sand, Mocha, Light Grey and Dark Grey. The Albany series is a soft and elegant crosscut travertine tile designed to replicate an authentic stone look using the latest digital ink jet technology. An affordable and low maintenance option. The range is available in 3 colourways – White; Cream and Grey – and in 2 finishes, Matt and External; 600 x 600mm, 300 x 600mm and the addition of 450 x 450mm later in 2018. Marble as a building material. has been used for centuries. As far back as the Romans, it has been used as a sign of opulence and luxury. The Calacatta range is a tribute to this bygone era and has been digitally remastered inline with the current trends of today. The series is available in a variety of sizes 300x300mm, 300x600mm, 600x600mm and large format 600x1200mm. The surface is finished in a luxurious gloss glaze, giving it that almost mirror look surface. Raw, abrasive and earthy are all words you could use to describe the latest offering from Capucino. Stone System encapsulates everything we love about Natural Stone and is perfectly represented in a porcelain tile format. It is available in 5 magnificent colours; Bianco, Beige, Light Grey, Mid Grey and Charcoal. 600 x 600 size format and 2 finishes; Matt and Structured External. The New York range, with its mix of exposed aggregate and concrete, brings the streets of New York to your home. This collection of urban colours - White, Grey, Beige and Smoke - are perfect for creating that industrial, New York loft style design. This range is available in both 300 x 300mm and 450 x 450mm size formats; and is suitable for both internal and external applications. 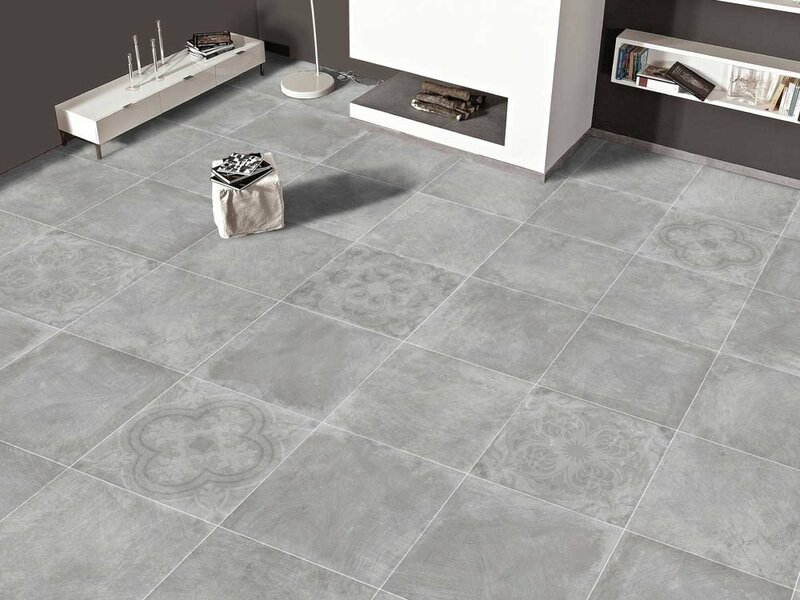 The Pietra Grey range is part of our natural stone look, porcelain tile collection. 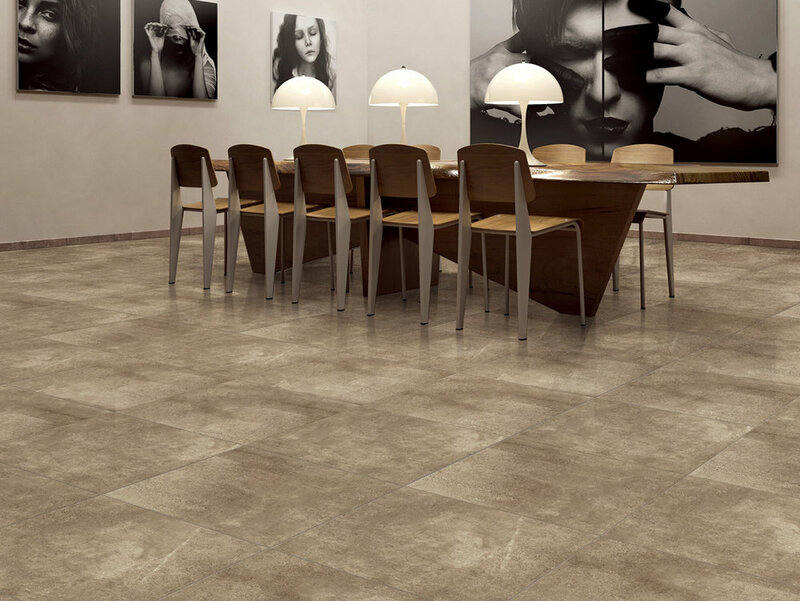 The design of these tiles is variable giving you that natural stone look with limited repetition. With very little maintenance required, this series is not only a cheaper option than natural stone but also easier to care for. The Pietra Grey range is suitable for both internal and external applications. Available in 4 fashionable colours and 3 finishes – Matt, Shine and External.Also available in larger format 600 x 600mm (2 colours only). Going back to its roots, the Origin range reflects the orginal look and feel of concrete. Soft and subtle colour variations provide a realistic and raw concrete material. Available in 4 colourways; White, Grey, Cotto and Charcoal. It is also available in 2 sizes; 600 x 600mm and 300 x 600mm. A highly variable print gives this tile a natural look without the expensive maintenance costs associated with natural stone. Available in 4 colourways: Ivory, Grey, Black and Supreme. Sizes/finishes: 300x300mm, 450x 450mm, 300x600mm, 600x600mm; Matt, External and Shine. The Timberland is a beautifully designed, aged timber look floor tile. It has been developed with a P3 slip rating which means it is suitable for both internal and some external applications, creating an internal to external flow. Available in 4 colours: White, Natural, Grey and Black. The Atlas Stone range has been created through the seamless combination of both Cement and Stone. The overall pattern is subtle but still vibrant enough to create the illusion of a very natural looking product. The range is available in 4 colours: White, Grey, Taupe and Charcoal. 300x600mm and 600x600mm sizes. The Crosscut Travertine range is a soft, elegant, authentic stone look utilising the latest digitial ink jet technology. The design has been captured from actual natural crosscut travertine stone and reproduced in a very affordable porcelain tile format. The range is available in 2 colours: Ivory and Grey. Three finishes, Matt, Lapparto and External; 450 x 450mm. 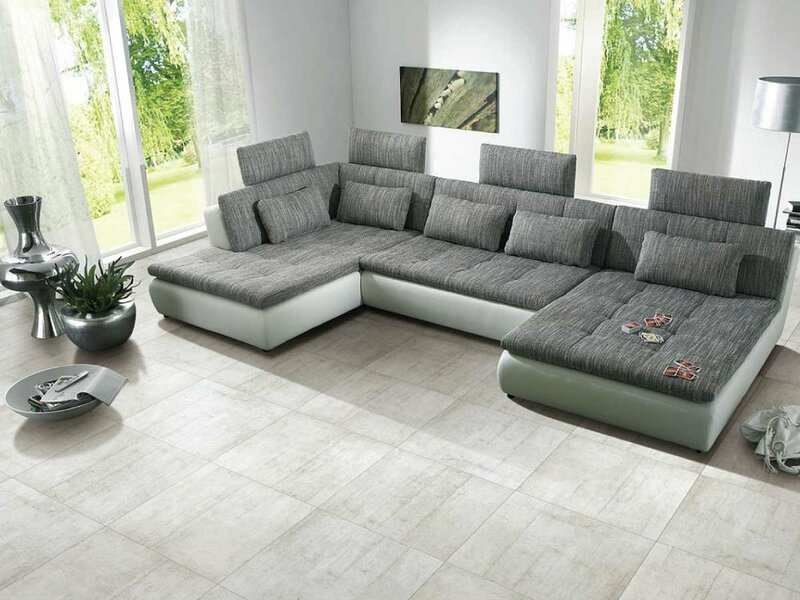 The Limestone series is the result of nature and technology working in unison to create a realistic stone-look porcelain tile range. 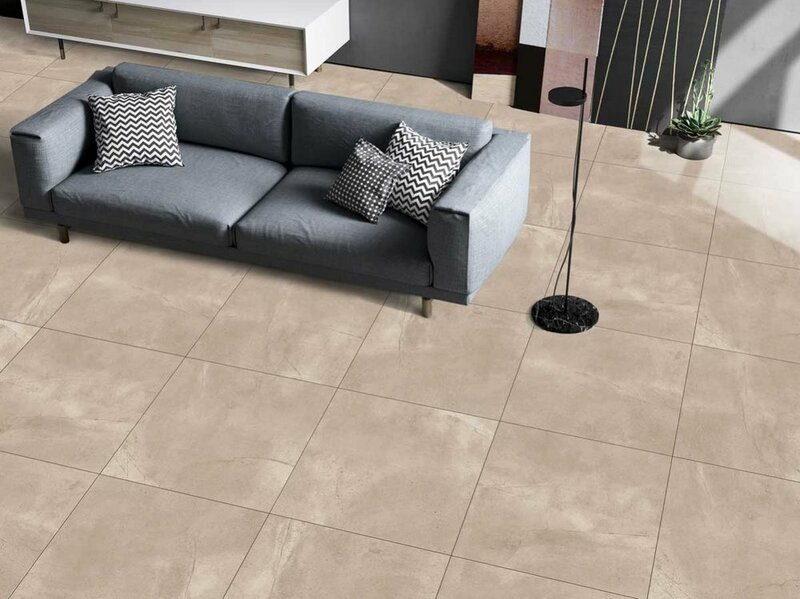 The range is available in both a porcelain floor option (300 x 300mm, 300 x 600mm & 600 x 600mm) as well as a ceramic bathroom option with matching decors (300 x 300mm & 300 x 600mm). The series is available in 5 colours – White, Beige, Light Grey, Mid Grey & Dark Grey – However Mid Grey and Dark Grey not available as a ceramic bathroom option. 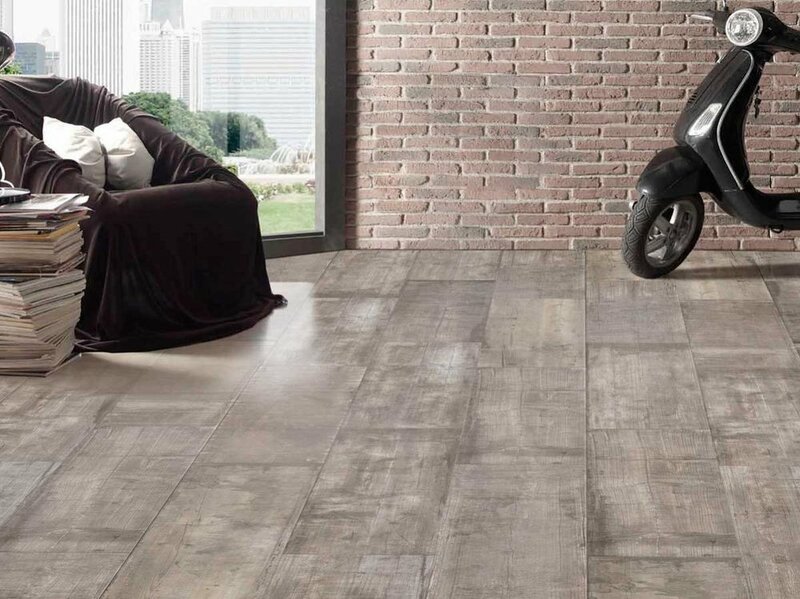 Timber is breathtakingly beautiful and with the Crown range you also get the benefits of a porcelain tile that is suitable for both indoor and outdoor applications. The design has taken its cues from the aged, antique timber look providing you with a naturally looking, distressed look. The series is available in Matt, Polished, External and a Balinese inspired Decor tile to match. The large format size of 200 x 1200mm allows for the realistic plank timber look. On close inspection, the simplistic design of this product is far from simple. Fine etchings mixed with a mottled, almost concrete look bring this tile to life. The React range is available in 3 colourways; Ivory, Light Grey and Light Brown. Matt and External finish available in 600 x 600mm size format. Simple and effective natural stone design available in 4 colourways: White, Light Grey, Taupe and Charcoal. Great affordable option for creating a natural stone look that blends with the environment. Available in a 600 x 600mm Matt finish. The New Travertine range is a combination of two distinct varieties, Vein-Cut and Cross-Cut. The mixture of the two types provides a unique look and style. The range is available in 3 colourways: White, Beige and Grey; as well as 4 size formats: 300 x 300mm, 300 x 600mm, 600 x 600mm and 450 x 900mm. Fine veining and slight variations in colour tones provide the Renegade range with a natural stone feel, without a heavy, variable pattern. The range is available in 6 colourways: White, Beige, Latte, Grey, Mocha and Black; as well as 2 size formats: 300 x 300mm and 450 x 450mm. 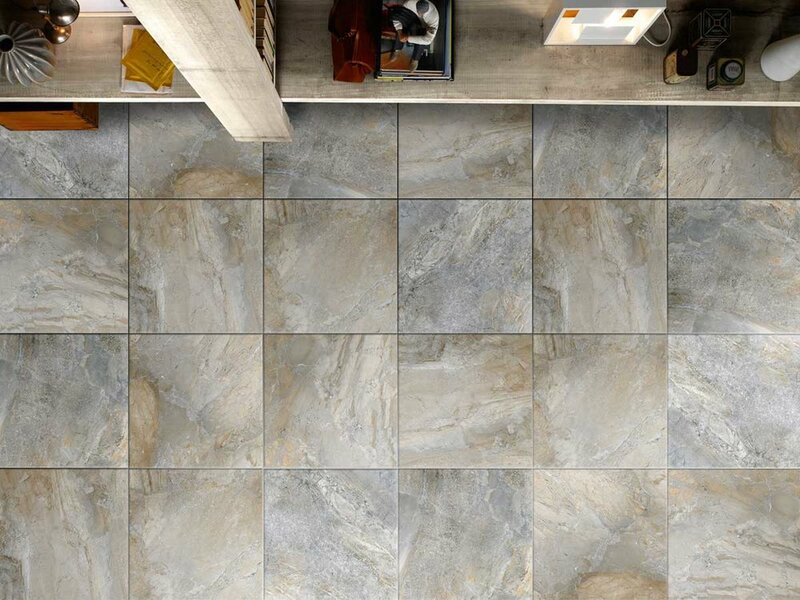 With the growing trend of urban, industrial inspired tiles the Manhattan range brings a subtle, almost polished look and feel. This range is a very cost effective way to achieve a concrete look surface that will stand the test of time. Available in 4 colours: White, Beige, Light Grey and Dark Grey. 3 finishes: Matt, Semi Polished and External. This Italian designed range draws its inspiration from nature, embodying organic rich material that has formed and fused together over centuries of time. Available in 5 colours ranging from Ebony right through to Ivory; also following the current trend of 300x600mm format. Our Marmo Bianco range has been designed to replicate the natural look of Carrara Marble without the high maintenance costs associated with natural stone products. The series is available in various sizes including 300 x 300mm, 450 x 450mm, 300 x 600mm and large format 600 x 600mm. Perfect for both wet area and main floor applications. The Wingham range was named after a type of stone found in Wingham NSW. It captures the natural, lineal composition of the layers of sediment built up over time, forming a natural looking product. Available in 3 colourways; White, Grey and Charcoal. Internal and External options available. With rich veins and marbling, this range will help create the look of natural stone without the heavy maintenance that comes with a natural product. Available in 3 colourways; White, Grey and Taupe. Also available in 2 sizes; 600 x 600mm (Honed and Polished) and 1200 x 600mm (Honed). Moving away from the previous heavy pattern concrete look, the Roma series takes on a more simplistic, soft feel. The subtle concrete pattern allows the tile to blend with its surroundings. The Roma range is available in 4 colourways: Silver Grey, Mid Grey, Mocha and Charcoal. Part of our natural stone collection, the Stella range is a variable pattern tile that will provide a very natural looking result when installed. The range is available in 5 colourways: White, Beige, Latte, Grey and Stone; and is available in 3 finishes Matt, Shine and External. The inspiration for this range has been taken from the towering rock spires of the Dolomite Mountains of Italy. This series has a variable print design that creates a very natural look. Available in 2 colour: Ash and Grey; and available in 2 size formats: 450 x 450mm and 600x600mm. Available in 5 colours – Bianco, Crema, Grigio, Graphite and Nero. Also available with a matching hexagon mosaic in either dark or light. With its industrious and raw design, the Industry range takes its inspiration from inner city construction sites where concrete formwork is the norm. There are four colourways to choose from ranging from a soft Grey palette through to a heavier Graphite look. This range is the complete package with matching hexagon or strip mosaics; also available in larger format 450 x 900mm. The Midtown range with its art deco inspired designs will transform any room into an urban, edgy living space. With its brushed concrete design, this is the perfect range for someone looking for something a bit different. If the art deco designs are not your thing, you can simply choose the 450 x 450mm option as a plain brushed concrete look. The decors are produced as 30% ratio to the plain tile. The series is available in 2 colourways – Cement and Ash. Contact us for a quote for your floor tiling project.